We can double your athletic performance and we can prove it. Take a look at the results of our training. You assume that an off-season lifting program will make you stronger. You assume that an off-season Speed program will make you faster. What most don’t expect is for an off-season program to make them more athletic! 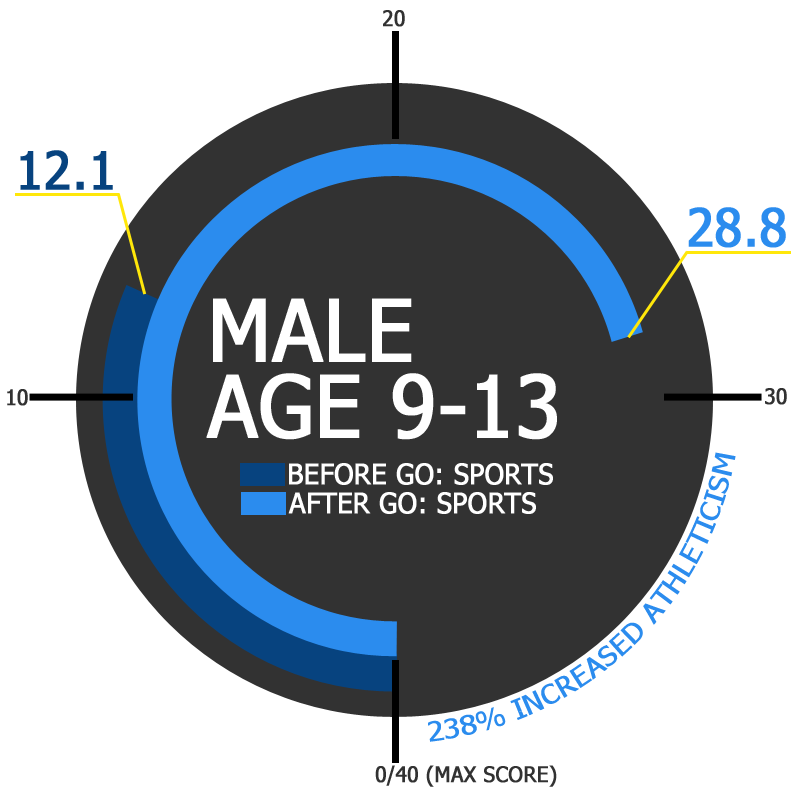 At GO: Sports, we can do just that, and we can prove it! Our unique training model does not just build muscle. It also builds speed, quickness, coordination, footwork, and usable strength in your sport. Traditional lifting and speed programs, used by our competitors and high schools, focus on how much an athlete can bench or squat, or how fast they can run the 40-yard dash. However, at GO: Sports we are more concerned about the athletes’ performance in their sport than how much they can lift in the weight room. This flies in the face of conventional training programs. Recent scientific data shows little, if any, of the strength developed in traditional lifting programs actually carries over into sports performance. It is easy to make an athlete stronger in the weight room, but enabling them to demonstrate this strength in sports is a whole different concept. Our focus is providing usable strength not just lifting to lift. Additionally, even with all the science showing only a small amount of strength built with conventional lifting programs can be demonstrated on the field, traditional lifting methods are still the standard training methods being used in many sport performance centers. We know our competitors just use these increases in max lift numbers to try and impress the public that doesn’t know it can’t be translated to the field or court. 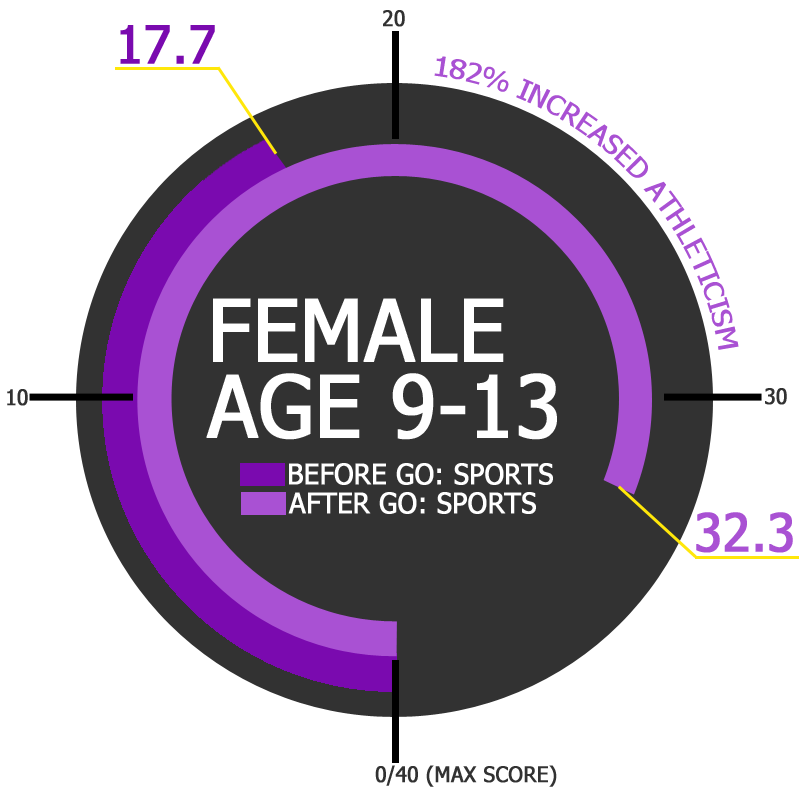 At Go: Sports, we are more concerned about finding out how athletic, coordinated and balanced an athlete is, and then training them to be more athletic, not just stronger. 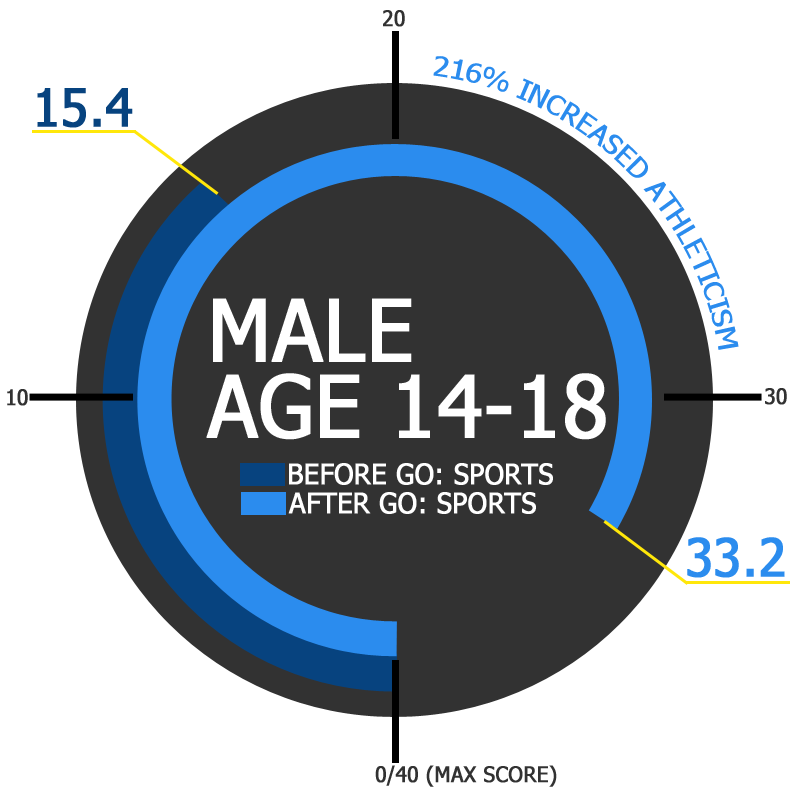 We want to educate the parents and the athletes, so they know what to look for. This is the reason why our athletes can go from riding the bench to being team captain in one year or from being an average athlete, to the MVP the next season. It is all about how effective the training is in the off-season. Does an off-season training program prepare the athlete for what they are going to do in their sport? We are the only center in Central Ohio to actually work on sports performance, sports strength, and sports speed. How do we measure the athlete’s improvement? We use seven athletic tests, scoring each one based on national averages, and compare our athletes to the top 50%. Click here for more information or to sign up for an Orientation and Evaluation. You can view our testimonials here.